There are three principles for enjoying multi-day trips in frigid winter wonderlands. One: Eat a lot, 2: Keep moving, 3: Insulate as much as possible. 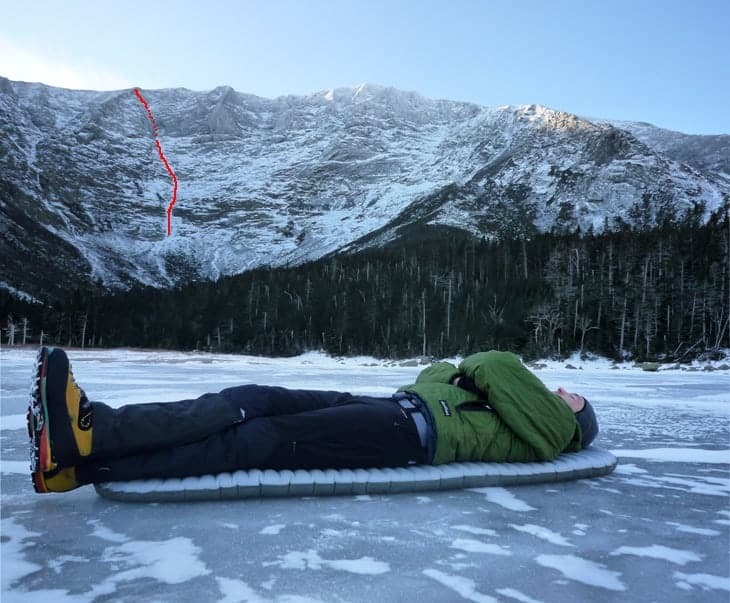 When I set out for an early-season ascent of the Cilley-Barber (IV 4), one of New England’s finest ice climbs, I was hoping the Therm-a-Rest NeoAir XTherm sleeping pad and North Face Inferno 0 down sleeping bag were the “as much as possible” in Principle 3. The Cilley-Barber follows one of the most natural lines up Mt. Katahdin, Maine’s highest peak and focal point of Baxter State Park. The route was one of the boldest ascents in the country when done in 1973. Even today the route is very committing. Getting to its base involves a six-hour drive from Boston, the nearest city, and a 12-mile ski into basecamp at Chimney Pond. From there the route ascends roughly 2500 ft. of snow and ice (WI 4+) to Baxter Peak, elevation 5,268 ft. An old-school north-woods ethic pervades in the park: there’s no guidebook, no pins, no tat, no fixed anything. 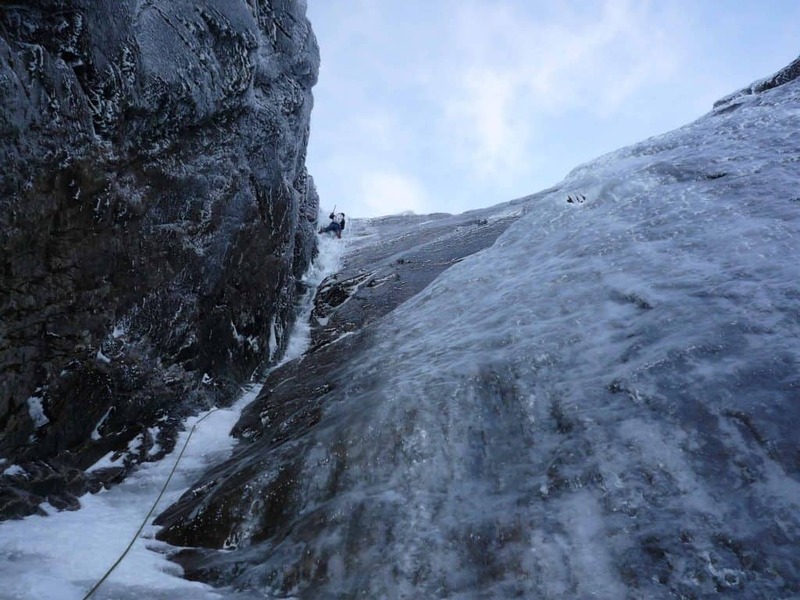 Rock and Ice Magazine calls Katahdin the Beast of the East. Early season is synonymous with uncertainty. This is especially true in Maine and even more so on Mt. 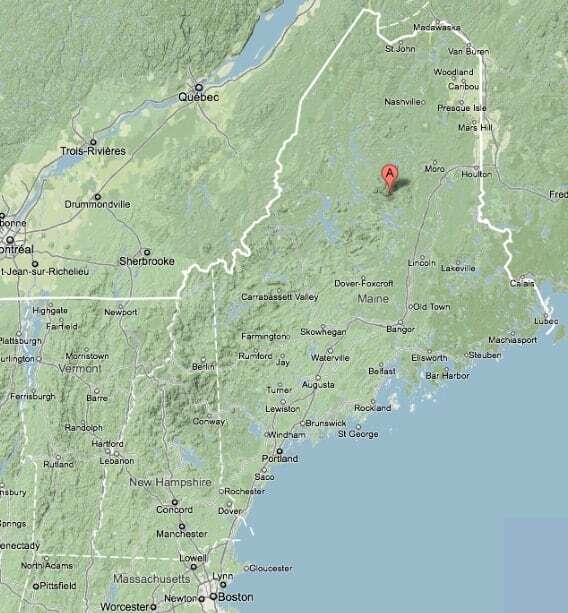 Katahdin, which is notorious for its foul arctic weather. The ice conditions are unpredictable, the temperatures unknown, and the wind speed irregular. These reasons plus the remote nature of the area force one to bring equipment that satisfies both Principle 3—insulate as much as possible—while also keeping weight down for the slog in. 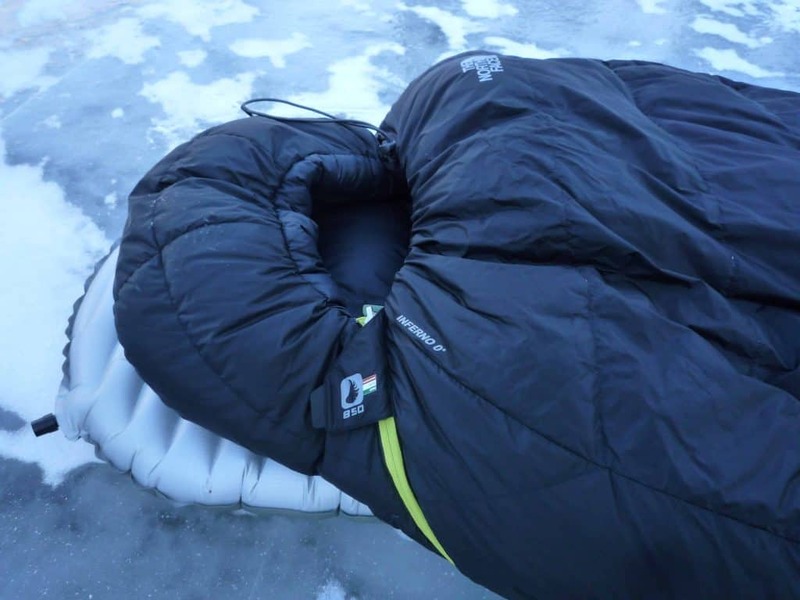 Enter the NeoAir Xtherm and Inferno 0, both of which kept me warm when the bottom dropped out at -10 F.
The Thermarest XTherm is the warmest and lightest sleeping pad on the market. Weighing a meager 15 ounces and packing down to the size of a large orange, this pad has a unique series of reflective baffles that make it ludicrously warm for its weight. The pad also works equally well for summer backpacking—its bottom material is more durable than the NeoAir XLite’s and it’s much lighter and warmer than the competition, such as the Nemo Astro Insulated (24 oz). This is the ultimate sleeping pad, folks. While lifting you off the ice is important so, too, is slowing the escape of body heat. The North Face Inferno 0 uses top quality 850-fill goose down and high quality lightweight shell materials. Though warmer than it is light, the Inferno is meant for seriously cold weather. Combine the Inferno 0 with the XTherm for a full-blown winter setup. Whether you’re alpine climbing, mountaineering, backcountry skiing, or venturing into cold and blustery Northern Maine, these key items will keep you toasty warm in any winter wonderland. As these high-end models hit our shop, will update this post with links to buy. For now, add them to your wish lists!